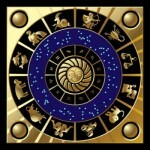 ← Boundaries and power issues in astrological practice: what are your thoughts? The Sagittarius New Moon – how was it for you? Cycles govern all our lives, from the vast unfolding of the life and death of stars to the tiny monthly dance of Sun and Moon with our beautiful blue planet Earth. The same basic stages apply to all cycles: seeding, germinating, sprouting, flowering, ripening, harvesting, dying back in preparation for the new, into that three day period of seclusion the Ancients knew as Moondark. Any New Moon represents the emerging energy of possibility from Moondark’s womb. The first fragile, beautiful waxing crescent appears in the night sky 2-3 days into a new cycle, indicating that fresh potential is taking form. This image is especially appropriate in evoking the Sagittarian New Moon, which in the unfolding cycle of the Sun and Moon’s yearly journey through the twelve signs of the zodiac emerges from the unfathomable depths of watery Scorpio into the fiery, mutable brightness of Sagittarius, that restless seeker after wisdom, truth, and above all ultimate MEANING. “The road of excess leads to the palace of wisdom”. However, it is important to recognise that life on planet Earth is complex. Contemplating the core meaning of each month’s New Moon can only ever provide broad brush strokes. In order to form a more detailed symbolic picture of the energies of any given month, we have to take the whole planetary picture into account. For example, the 13th December 2014 saw the sixth exact square of the explosive, disruptive and tempestuous Uranus/ Pluto combination, its first major encounter since the turbulent 1960s and an increasingly dominant major planetary pattern since it began its journey towards exactitude way back in 2010/11. Here are some of its immediate mundane effects: in Australia, a cafe siege resulting in the deaths of three people including the gunman. In USA, a family tragedy involving a deranged man shooting dead six members of his ex wife’s family. And most ghastly of all, today’s breaking news is of a revenge attack by the Pakistan Taliban on a Peshawar military school, leaving 132 youngsters and 11 of their teachers murdered. Truly horrific. In Russia, meanwhile, tumbling oil prices are taking a devastating toll of the economy, with the rouble falling to almost half its value against the U.S. Dollar amid rising panic. And on a brighter note my own small nation, Scotland, is once again a world leader. Today gay marriage became legal here, with the backing of an estimated 68% of the Scottish public. The inter-relationship between the Big Picture of our collective lives and the tiny individual lives of humans, as explicated by planetary symbolism, has been a source of enduring fascination for me right from the beginning of my astrological studies. In this short article I have chosen only to focus on one planetary combination and its impact, set within the context of the Sagittarius New Moon. There is of course Saturn preparing to move into Sagittarius, thereby beginning a year-long square to Neptune, whose ancient ruler was Jupiter – modern ruler of Sagittarius. 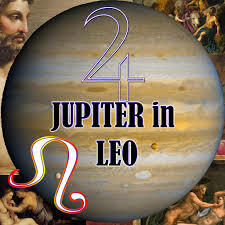 And exuberant Jupiter himself is placed in fiery Leo, spending much of 2014/5 in a dynamic trine to the great disrupter and techno-futurist of the zodiac, Uranus. In sum, there is a huge charge of Jupiterian energy in our Sun/Moon/Earth system at present, both for good and ill – as is always the case. The challenge for all of us this soli-lunar month has very much been this: HOW do we take whatever inspiration has come our way and create meaning from it? What are our truths, and how do they shape our lives? So – what have we done this month, even in small ways, to bring some light and inspiration into our personal world? What positive energies have come our way, no matter how difficult things may be, to give us heart and make us feel that life is worth living? I do hope some of my readers will respond to this by leaving some comments with personal examples. Let me start you off by sharing some of mine. There are some dark and difficult things going on in our overall family life (Saturn is on my IC…) but I have had some great feedback over the last three weeks regarding my writing, return to teaching, and the astrological work I do. “As above, so below” . How profound. how TRUE! This entry was posted in The Sun/Moon Cycle, New Moons & Moondark (8articles) and tagged Astrological Jupiter, Astrology, horoscope, Moondark, Peshawar school killing, Philadelphia family killing, Sagittarius New Moon, Sydney Australia gunman siege, Uranus/ Pluto square, William Blake, Winter Solstice. Bookmark the permalink. Without going into personal details, I just want to say that I am actually going through the most transformative period of my life: as in your case, I also had Saturn on my IC, but the biggest wake up call was Uranus on my Mars and Pluto squaring it! And this is not completely over yet… For me, Saturn on my IC (together with progressed Moon) marked an onset of a period of intense soul searching and therapy, which has yielded beautiful fruit so far. I am in rough waters but I see a beautiful piece of land ahead of me already. Also wanted to share that I like your astrological writing as well. Many thanks for affirming my writing, Monika. I love visiting your site, since there is always inspiration and challenge to be found there. As well as visual beauty! Many, many thanks for this personal feedback – I can only begin to imagine, as a natal Mars/Uranus person, how disruptive but cracking open of new options this must have been, and still is by the sound of it. As for Saturn – it his his action, if we co-operate, that helps us to “forge the diamond soul” as the Buddhists so beautifully put it. This month for me as a Sag Sun sign has had its ups and downs. I was ‘driven’ to finish my book and get it self-published, which I managed to do after several delays with the printer. Delivery – Christmas Eve! Onward to E-publishing sometime in January – that’s my next learning experience. The tragedies in the news of late has taken the edge off the excitement somewhat however my hope and intention is to bring a little light into the world with this book ‘Where Angels Gather’. Have a blessed Christmas Anne! Many thanks for this very relevant feedback, Bev! A blessed Xmas to you, too, and all good wishes with the PR for the book. I’ m off to buy a copy in the next couple of days – when I am over the Xmas tree melodrama that happens for a whole day in our house each Festive Season. Mind you, our tree is always fabulous and makes me feel connected to our ancient forebears for whom bringing back the light in mid winter was a sacred duty as well as pleasure.